The price of bitcoin has jumped above $8,000 this week for the first time since May, just as Wall Street is again looking to get another piece of the action. There had been months of doldrums in bitcoin-land, as cryptocurrency prices have slumped and traders appear to have gotten bored. Bitcoin exchange-based trading activity fell 26% in the second quarter by one measure, according to Coindesk’s quarterly State of the Blockchain report released on Wednesday. Exchange trading in ether, the second most popular digital coin, fell 37% during the quarter. The price of bitcoin hovered around $6,000 for much of the quarter, down from a high near $20,000 last year. But Wall Street is trying to create crypto-products for institutional investors, and that may be helping boost the price of bitcoin in particular. The comment period just ended for a new proposed bitcoin exchange traded fund from Van Eck Associates and SolidX Management, and the Securities and Exchange Commission is expected to make a determination on the ETF in the next 90 days. Bitwise Asset Management, meanwhile, has applied for an ETF that would track the top 10 digital coins by market cap. "My belief is that the recent price increase is being driven by the speculation that the SEC will approve a bitcoin ETF, which would open the doors for the traditional financial institutions (pension funds, etc.) to enter the market," says Akbar Thobhani, the CEO of crypto broker-dealer SFOX. The SEC has previously thrown cold water on efforts to launch bitcoin ETFs, given the volatility in the sector, among other issues. Wall Street also has its eyes on ether, a token that trades like bitcoin but has more sophisticated capabilities. At a conference last month, SEC Director of Corporate Finance William Hinman cleared away some of the regulatory uncertainty around ether, saying that he didn’t believe it currently operates as a security (digital tokens classified as securities face more stringent regulation). While his comments were not an official statement from the SEC, they held significant weight given his role. Cboe Holdings, which owns multiple major financial exchanges and began offering bitcoin futures last year, has been working on an ether futures product, and sees Hinman’s comments as a positive development that clears the way for futures. Cboe already has an agreement with digital-asset exchange Gemini Trust that would allow it to use Gemini’s data to create cash-settled ether futures, according to a person familiar with the company’s plans. The company said this week that it had “no immediate news to share” on its plans. The CME Group, which offers bitcoin futures, is not currently considering offering ether futures. The Commodity Futures Trading Commission did not respond to requests for comment about whether it would be open to allowing ether futures to start trading. The SEC had no comment on whether Hinman’s comment represents official SEC policy. 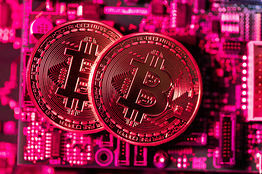 The futures products, which have gotten steadily more popular among traders looking to hedge their bitcoin exposure or speculate on prices, have come in for some criticism. Research firm Fundstrat argued in a note last month that prices seemed to dip ahead of Cboe futures expirations, falling an average of 18% in the 10 days leading up to expiration. The Federal Reserve Bank of San Francisco has also argued that the introduction of bitcoin ETFs, which made short-selling easier, helped cause the decline in the price of bitcoin starting last December. A CME spokeswoman said that the price drop was likely affected by “other factors in the marketplace, such as governments and businesses banning cryptocurrency or ads about them.” CBOE likewise disputed the conclusions of the report.